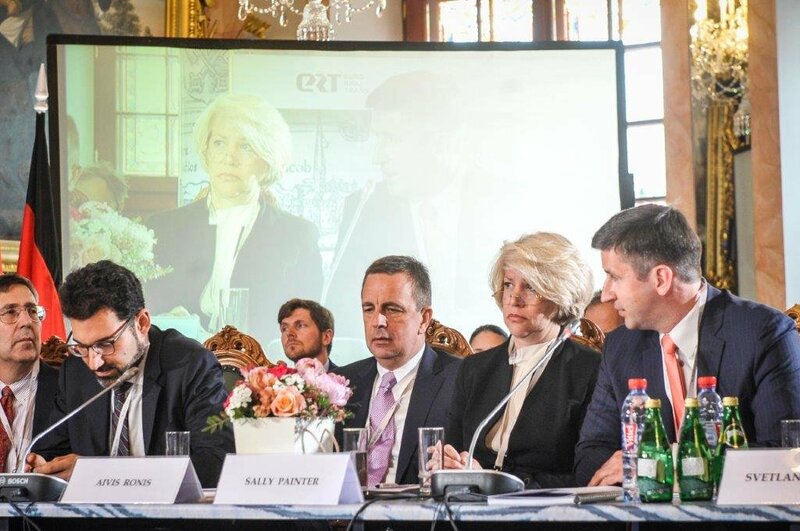 A US lobbyist Sally Painter (pictured during the Baltic Forum in 2017) has helped Latvia to join NATO and introduce visa-free travel with the United States. She also lobbied the interests of Latvia’s non-resident banks that were involved in money-laundering scandals. Aivis Ronis (on the left) is a former government minister and an ABLV board member. A candidate for prime minister from Harmony, at that time the head of ABLV-funded think tank Certus, Vjačeslavs Dombrovskis (on the right). While the Washington-based think tank Atlantic Council fights against Russian propaganda, some of its experts lobby the interests of the Latvian banks accused of money laundering and help soften the image of the Russia-friendly political party before upcoming parliamentary elections in an EU nation on the Russian doorstep. “FinCEN has reasonable grounds to believe that ABLV executives, shareholders, and employees have institutionalized money laundering as a pillar of the bank’s business practices,” it said in the announcement, adding that it intended to prohibit ABLV from clearing dollar-denominated transactions through US banks. Shortly after the report was made public and clients started to flee, ABLV had to cease its operations. Globally ABLV was the small fry, but for Latvia, a former Soviet republic that joined the EU in 2004, it was the third largest bank and the biggest one servicing so-called non-resident individuals and companies. They are mostly people from the other former Soviet space, running from their regimes or tax inspectors as well as a vast network of offshore companies that do everything: from helping drug cartels legalize their income to circumventing sanctions against North Korea. Built on historic ties with the former Soviet elites, ability to service clients in Russian for a fraction of the price of Switzerland and lax regulation, Latvia had developed an unusually large banking sector for a country of 2 million people. In 2015, 53 percent of all deposits held in Latvian banks belonged to foreigners. Since the crackdown on the worst offenders began, the number has decreased to 21 percent, but still at least 11 banks focus mainly on servicing these clients. Contacted by Re:Baltica, Aslund said he didn’t see contradiction between his own conclusions and FinCEN. “My conclusion was that they have done a lot, however at the same time I was careful enough not to say they have done enough,” he told US-based media outlet BuzzFeed, Re:Baltica’s collaborating partner for this story. In the case of Latvia’s nonresident banks, Aslund worked more as a lobbyist, rather than an independent analyst. Latvian banks, including ABLV, paid for his work — a fact that is omitted in his paper. Sally Painter, who serves on the Board of Directors of the Atlantic Council and have been lobbying interests of the nonresident banks in the US for a decade, suggested Aslund write this paper. The document, which does not disclose the financiers, is not an official Atlantic Council publication and cannot be found on its website. It was, however, presented at a private event hosted by the Atlantic Council in October in Washington. Painter, along with Latvian ambassador to the US Andris Teikmanis and the former ambassador and foreign minister, now ABLV board member, Aivis Ronis attended the event. This raises questions about conflict of interests of the Atlantic Council or at least of some of its experts. The think-tank is known as a sharp critic of the Russian foreign policy, which actively fights against the Russian propaganda around the world, including Latvia. 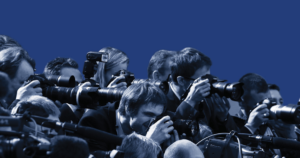 (A project funded by the Atlantic Council, DFRlab, which analyzes Russian information strategies in social media, is a Re:Baltica partner in a forthcoming project devoted to the campaign monitoring before the parliamentary elections in Latvia this October). Both Aslund and ABLV spokesman Artūrs Eglītis confirmed to Re:Baltica that the paper on the banking sector was paid for by the banks themselves. “It’s not a secret that ABLV’s subsidiary opened an office in US with a long term goal to open the branch of the bank. Aslund’s report was presented in the Atlantic Council to tell about the achievements in Latvia’s banking sector,” Eglītis wrote in an email to Re:Baltica. Aslund couldn’t recall what other banks funded his paper. Neither Aslund nor Eglītis wanted to disclose how much money was paid for the work. A screenshot from the database of the US House of Representatives shows that Blue Star Strategies LLC was paid by Latvian banks for lobbying their interests in Washington. Painter herself was listed as a lobbyist in a 2007 filing that showed a lobbying firm then known as Dutko Worldwide LLC, now Dutko Grayling, received $120,000 to work for the Latvian-American Financial Forum, a group formed by five non-resident Latvian banks to push their interests in the US. The group was represented from 2007 to 2015 by Ronis, a former Latvian ambassador as well as foreign and transport minister. “The report and my service to the Atlantic Council speak for themselves,” Painter wrote in response to request for comment from BuzzFeed. Blue Star Strategies’ representative also defended Painters’ role at the Atlantic Council saying it was unrelated to her lobbying on behalf of Latvian banks accused of laundering Russian money. 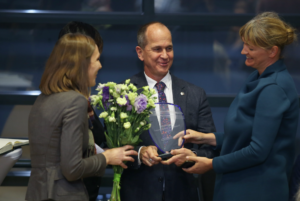 “For decades, Ms. Painter has promoted transatlantic relations through her pro bono service, including her service with the Atlantic Council and through her work at Blue Star Strategies LLC,” the representative wrote. Another thread that connects the Atlantic Council to Latvia is the Latvian party Harmony which is trying to transform its image from a Kremlin-proxy to that of a legitimate European social democratic party. It hopes the strategy will soften its image in the Western political and diplomatic circles and make it more attractive to ethnic Latvians who are not ready to support it due to its pro-Russian policies. Another member of the Atlantic Council, former US diplomat David Merkel, helped Harmony leader Nils Ušakovs organize a visit to Washington at the end of 2017, including setting up business dinner in honor of Riga’s mayor at the restaurant Mirabelle in Washington DC. Merkel introduced Ušakovs to Christian Ferry, a high-ranking political consultant, whom Harmony later hired for this year’s election campaign. Harmony draws on its support from the sizeable Russian-speaking population in Latvia and won the largest number of seats in parliament during elections in 2014. Despite that, it has never been invited to form a government because of fear that the party is a proxy for Moscow. As a part of the drive to ease that fear, Harmony has been attempting to rebrand its foreign-policy conference Baltic Forum into a more Western platform, known both outside of Latvia and Russia. A leader of Harmony fraction in parliament, Janis Urbanovičs, is also the president of the Baltic Forum. In 2016, inside the Atlantic Council offices, a conversation took place between Painter, the think tank’s vice president Damon Wilson, Ronis and Urbanovičs. Ronis, who served also as a translator, recalls that the conversation took place based on a mutual interest. The goal was to create an event that would serve as a bridge for informal talks “between the East and the West.” The idea came from the Latvian ambassador to the US Andris Teikmanis, who received a green light from the foreign ministry. Latvia’s Foreign Minister Edgars Rinkēvičs confirmed to Re:Baltica that the ministry expressed interest in organizing high-level conference for talks with Russia, but on a condition that it is hosted by a respectable local think tank, not the political party Harmony. The ministry held talks with the Atlantic Council as co-organizers. Five Atlantic Council representatives came to Riga in 2017 to the Baltic Forum. They included Painter and Wilson. The idea never materialized because they couldn’t find the appropriate think tank in Latvia, which would be willing to organize the event, says Rinkēvičs. Another significant obstacle was financing the conference, because the ministry was not willing to spend public funding on it. In a conversation with Re:Baltica, Wilson said Atlantic Council never considered the idea to be a co-organizer of the Baltic Forum. The focus has been on cooperating with the foreign ministry to create an informal platform. “But then we understood that there won’t be support from the Latvian government because there’s no agreement among the politicians themselves. We rejected that idea,” says Wilson. He denied that there would be a plan to create such a platform with Harmony in the future.